The ABA-FILL-BFGES is an electronically controlled, semi-automatic, net weight filling machine which is designed to bottom-fill containers from half pint to 5 gallon pails. At ABA, we are proud to offer superior net weight filling machines which can be custom designed and tailored to each customer's needs. Our net weight filling machines incorporate the latest innovative technology, such as supervision and tracking of the weights of filled containers against preset tolerances. The machines notify the operators when adjustments need to be made, or the weight filler machines can make the modifications automatically. Using load cells and scale platforms, the gravimetric machines can be used on a large variety of containers such as pails, bottles, and drums. With so many options out there, some distinct advantages of net weight filling machines are: high accuracy, data tracking, and fast and easy clean-up. 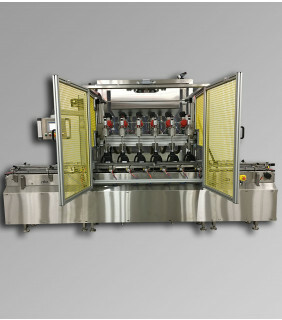 Aside from the standard characteristics, our net weight filling machines comprise the latest software and programs in their operator interfaces. 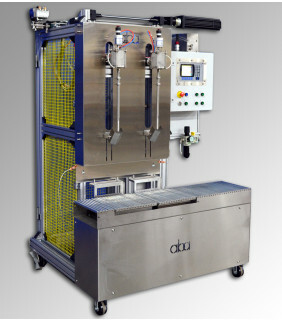 Our net weight fillers and net weigh filling machines are able to distribute networking and total process monitoring. Historical and real-time trending allows our customers to track their fill data and monitor their product usage. Many of our machines offer remote support access to make troubleshooting and service easy even from a distance. 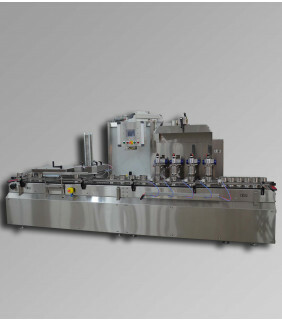 ABA Ltd. has been a leader in the industry for over 26 years when it comes to net weight filling machines. 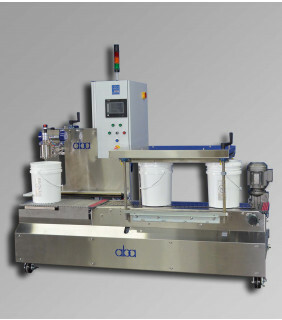 ABA makes custom machines, and we feel confident we can supply any net weight filling machine your company needs. Call or visit us today to have one of our professional representatives assist you. Let us work together to find the best weigh and fill machine you need to get the job done for you.